Vitamin A is essential for many bodily functions, including healthy hair growth. However, because this vitamin is fat-soluble, your body stores the excess you take in, which can lead to toxicity, and the symptoms of this include hair loss. Along with vitamin A toxicity, many other causes of hair loss are possible. Your doctor can help you determine the specific cause in your case, as well as discuss your vitamin intake. Vitamin A is necessary for good vision, and it also aids in the reproduction of cells. Cell reproduction is essential for several bodily processes, including hair growth and maintenance. Furthermore, because vitamin A acts as an antioxidant, it also safeguards your hair follicles against damage caused by free radicals. The recommended dietary allowances, or RDAs, for vitamin A are 900 mcg or 3000 IU for men over age 19 and 700 mcg or 2310 IU for women over 19 who are not pregnant or lactating. You may consume vitamin A in the form of retinyl palmitate by eating liver, eggs and dairy products. Dark leafy green vegetables and dark yellow or orange fruits and vegetables -- such as carrots, apricots, peaches and pumpkin -- contain beta-carotene, from which your body can also produce vitamin A. In supplement form, you may take vitamin A as retinol or retinyl palmitate. Consuming high amounts of vitamin A can result in hair loss. The tolerable upper limit of the vitamin for those over age 19 is 10,000 IU per day, and higher amounts may result in toxicity. Other signs and symptoms of vitamin A toxicity include dry skin and eyes, nausea and diarrhea. It is difficult to overdose on vitamin A through your diet alone, but you may be at risk if you take supplements. 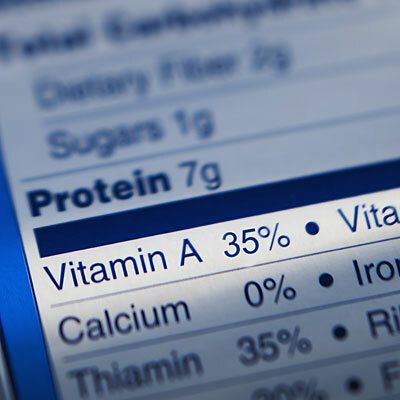 Always discuss vitamin A supplementation with your doctor beforehand, particularly if you are on any medications. Not getting enough vitamin A can have adverse effects on your hair as well. Low levels of this vitamin can result in dry, brittle hair. If your parched hair begins to break off at the ends or roots, you may also experience hair loss. Vitamin A deficiency is rare in the United States, but symptoms include dry eyes, night blindness, diarrhea and a decreased ability to fight infections. As with all vitamins, it is important to consume your RDA of vitamin A to ensure you are keeping your body -- and hair -- as healthy as possible.